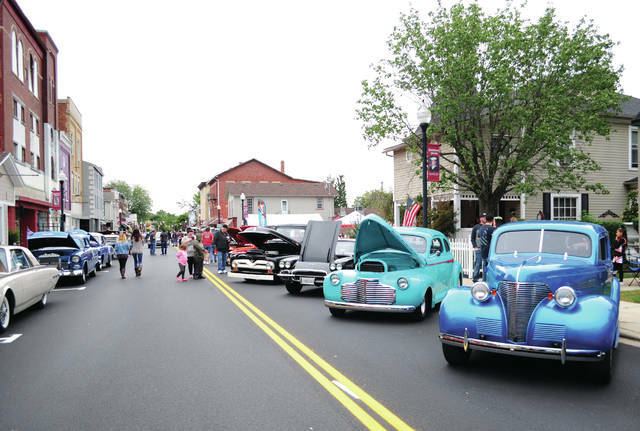 WEST MILTON — Last weekend, hundreds of classic cars rolled into downtown West Milton, participants in the 10th annual Fall Fling event. 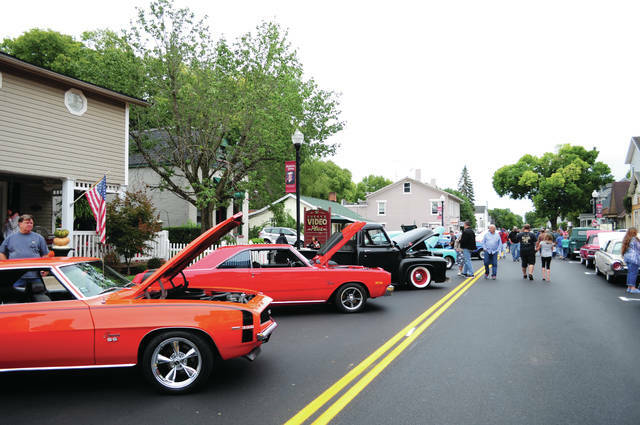 According to organizer Brian Tomlinson, there were more than 400 cars in last weekend’s cruise-in. “It was great,” Tomlinson said. Classic vehicles lined Miami Street from State Route 571 for several blocks, past the McKinley Apartments. 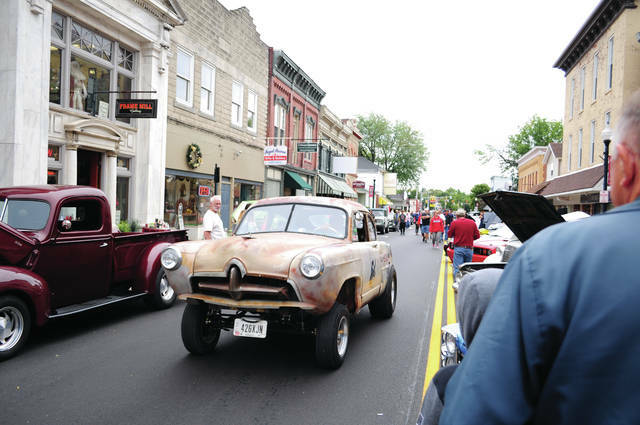 The event celebrated 10 years, while also honoring the memory of Dawson Cress, a “local hot rod guy,” Tomlinson said. Cress, who passed away this summer, was well-known in the West Milton community — along with his ‘39 Chevy. Last year, more than 300 vehicles were on view.  Tomlinson said the event is meant to draw people to downtown West Milton’s shops and restaurants, many of which were open Saturday afternoon.